The duo quit as directors from the company's board on Thursday. The company issued a release saying the resignation is "intended to free the organisation from any encumbrances that may be linked to the promoters in light of the recent HC judgement." 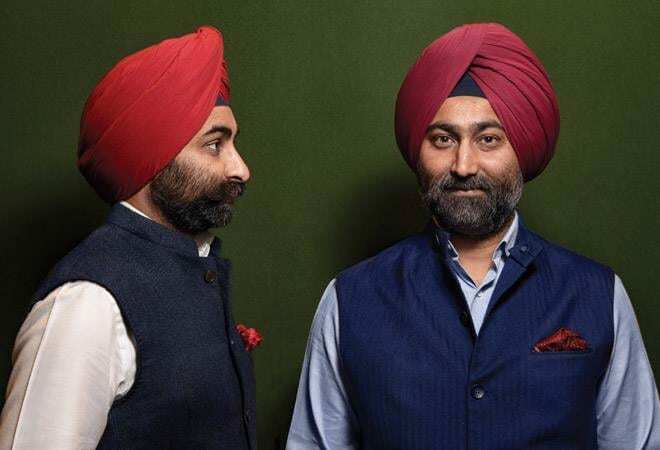 There seems to be no end to troubles for the Fortis Healthcare promoters, Malvinder Singh and Shivinder Singh. First the accusation of siphoning off of $300 million by a US-investor, then the Delhi High Court verdict in favour of Japanese drug maker Daiichi Sankyo, and now the allegations that they took Rs 473 crore from their publically listed company, Fortis Healthcare without the board approval. The duo quit as directors from the company's board on Thursday. Reports also suggest Manipal Hospital is in merger talks with Fortis Healthcare. The company issued a release saying the resignation is "intended to free the organisation from any encumbrances that may be linked to the promoters in light of the recent HC judgement." According to a report in Bloomberg published on Friday, the funds were mentioned as cash-and-cash equivalents in the company balance sheets but the money was allegedly routed to the Singh brothers. The report didn't confirm where the money was used, but cites it a reason that the company has not released its second quarter results so far. Refuting the allegations, Fortis Hospitals said it deployed funds in secured short-term investments with companies in normal course of treasury operations. The company release to BSE says the "loans" are fully "secured", and are being repaid. The Bloomberg report alleges that Fortis's auditor, Deloitte Haskins & Sells LLP, didn't sign off the Q2 result report due to the same reason. "We categorically deny the alleged news that the auditors have refused to sign the accounts for Q2. The limited review process for Q2 and Q3 results is in progress and already sent to your office by February 7," Fortis said in the BSE filing. On February 2, a single judge bench of Justice Jayant Nath of the Delhi High Court directed the Singhs to pay Rs 3,500 crore to Japanese drug maker Daiichi Sankyo - that's 35 per cent of the Rs 10,000 crore the Singh brothers had received for selling their stake in Ranbaxy - then valued at $ 4.6 billion - to Daiichi in 2008. When the Singhs sold their drug company Ranbaxy to Daiichi Sankyo in 2008, the US Department of Justice was investigating a complaint on the basis of a report submitted by whistleblower and company's former employee Dinesh Thakur in 2005. In September 2008, the US government issued a warning to Ranbaxy for 30 of its products, but the deal with Daiichi was signed in November same year. On January 30, a New York-based investor, Siguler Guff & Co, which has six per cent stake in Religare Finvest, alleged the Singhs indulged in "diversion and siphoning" of funds to clear their personal debts of at least $1.3 billion. The Singhs allegedly gave 21 loans worth millions to independent companies that rerouted at least $300 million to private firms linked to the brothers on the same day. Religare had said "all the allegations are completely baseless and have been responded to by Religare in the High Court of Delhi." Manipal Hospital, backed by US investment company TPG, is in talks to merge Fortis Healthcare with itself. Bombay Stock Exchange has sought clarification from Fortis Healthcare with reference to reports of Manipal Hospital's merger talks with Fortis Health.